I made instant Starbucks coffee for the three of us in our freezing Castrillo albergue before we headed out at 7 a.m. Wednesday, top photo. Our 13-mile walk to Foncebadon was marked by a pause for coffee at a Brazilian cowboy outpost. We climbed about 1,700 feet and are near 5,000 feet tonight in a village that has an alpine feel. It snowed here last night, but it melted today. 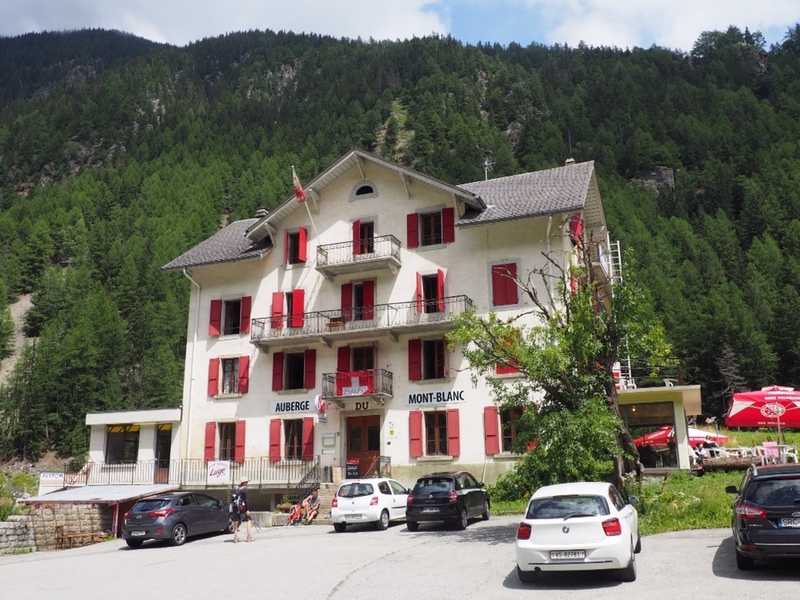 I was exhausted by the time we reached the top and collapsed in a chair while Sue went inside to check out the albergue. She came back a bit later with news she had scored a private room, with heat! Later, we reunited with a young Irishman we had not seen in two weeks. Thursday, we head for the highest point on the Camino and a stop at a very special pilgrim monument. We have brought along remembrances from home for our contribution. Only 147 miles to Santiago! 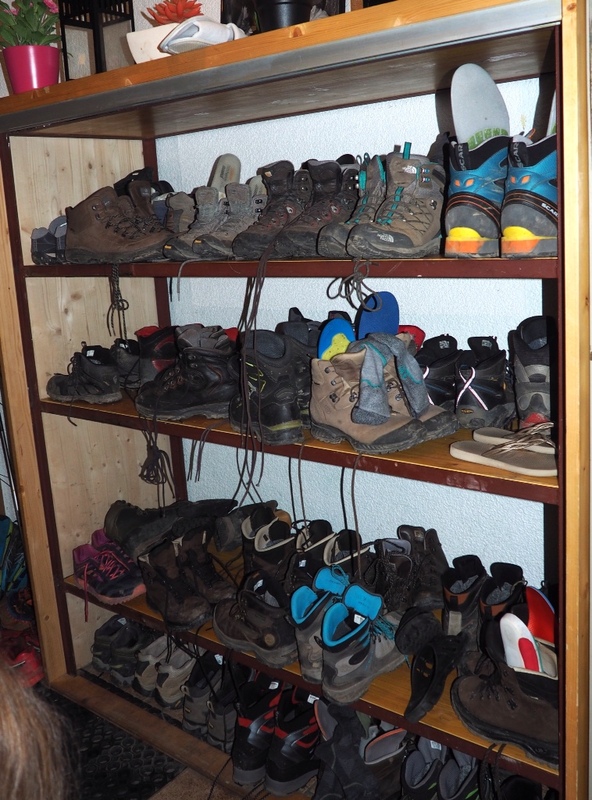 Camino Santiago takes a turn for the …? 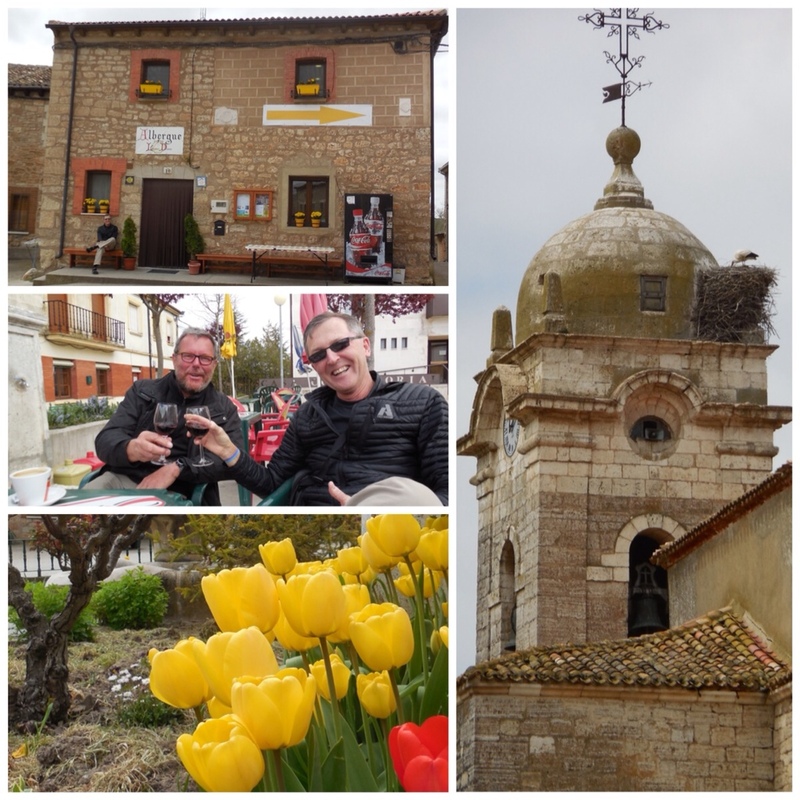 The Camino took an unexpected turn on the last day of April and led us to an unusual destination far outside our comfort zone. 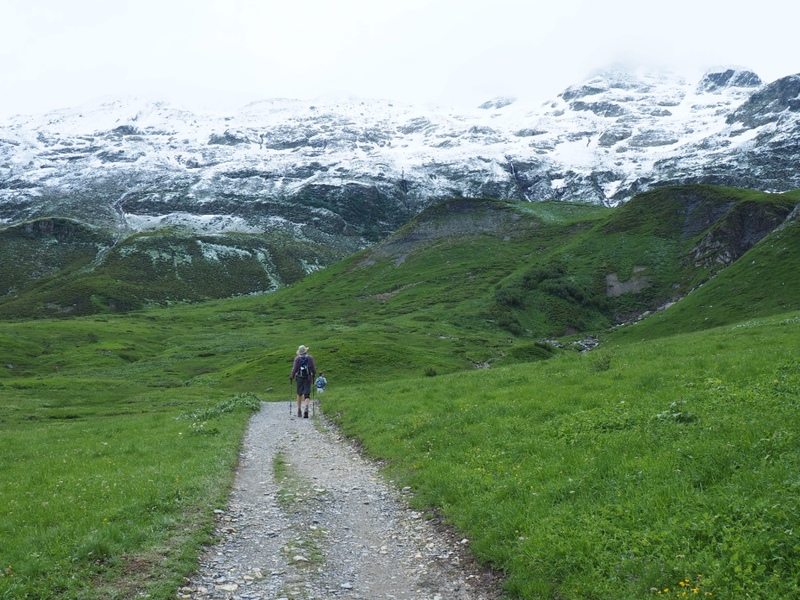 Along with our German friend Gert, we took a detour near the end of our 12-mile day, marked by a steady light rain. Visually, the town is wonderful, but we soon discovered it was too early in the season for pilgrim accommodations. Then, a Spaniard stopped his car after seeing us in need. Luckily, Gert understands enough Spanish to find out the man was offering to open the small albergue so that we would have a place to sleep. 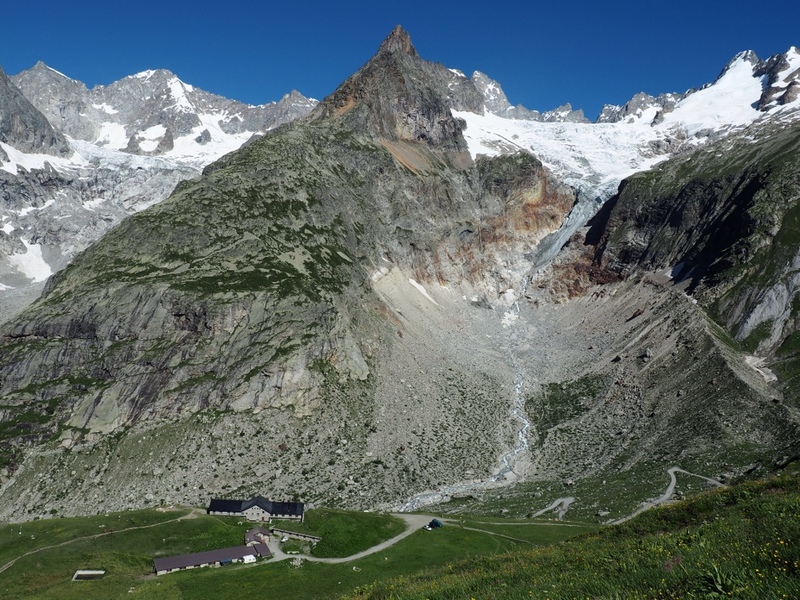 The albergue, top, and in bottom photo, left. We were in luck!? He led us down a narrow alley, went up some stairs and banged on a door. After a rapid, loud conversation with a woman inside, he emerged with a key. He led us to a building, through an entry that exuded a rustic charm, and inside to a room that was a very basic kitchen/dining area. Then up the curved staircase to an eight-bed dorm room that would be ours for the night, for €4 each. He turned on the hot water heater (hot showers! ), but there was no heater in the room (it was about 40 degrees outside and inside). After some good laughs at our predicament, we settled in. 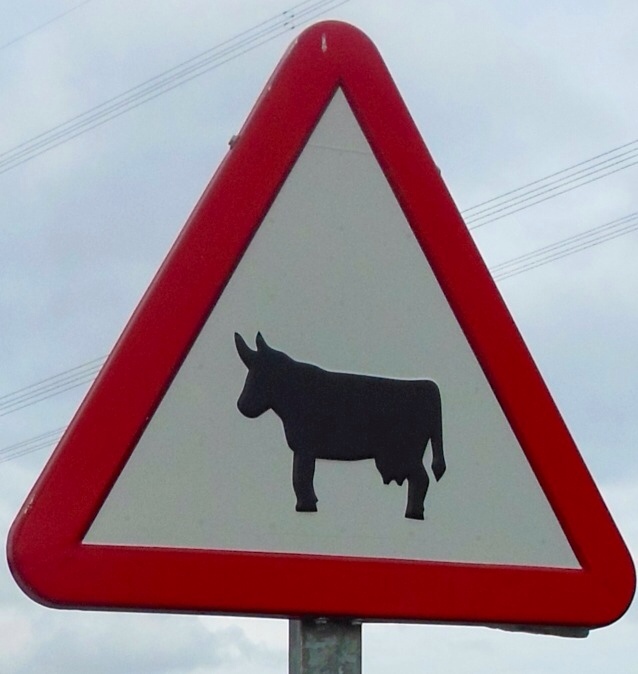 I toured the village in search of food and drink. I found four restaurants, but they looked too fancy for backpackers. But, we had to eat (er, drink)! She raced down and led us to the restaurant that was closing. She shouted orders that they must feed us right away. Minutes later, we were seated in a warm room with linen tablecloths drinking vino tinto and eating a superb four-course meal because the staff stayed late just for us. It is 7:30 p.m. and we are back in our room, huddled in our sleeping bags. But life on the Camino warms our hearts like we never anticipated. In an effort to honor our vow to not walk much more that 12 miles a day, we stopped early in the little village of Vallares de Orbigo. 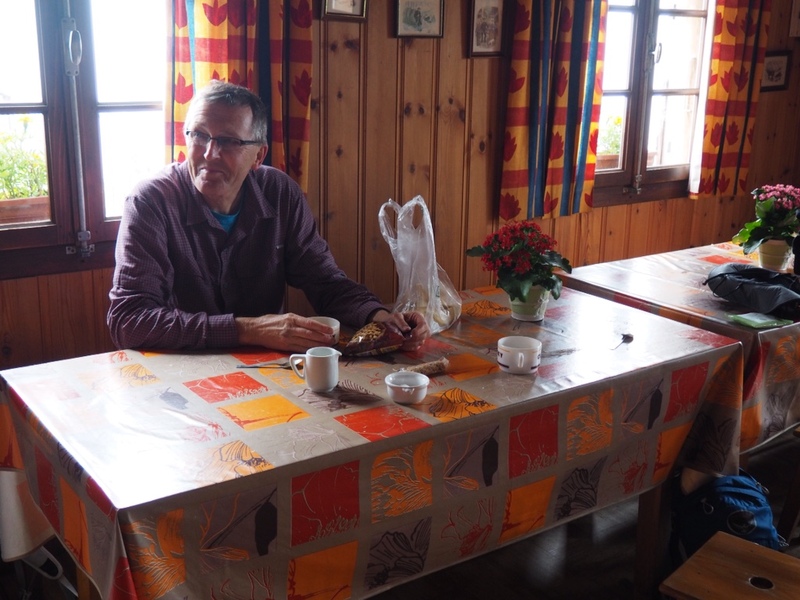 We were first to check in to Albergue Vallares; the only one in town. To our surprise, we found ourselves alone around the dinner table this evening. You've heard it before, but here goes; this was the best meal of the Camino! Reg and our host, Pablo pose for a quick photo. He fixed us a delicious dinner and we were lucky enough to have it all to ourselves! We enjoyed a delicious salad; a mixture of lettuce, rice, crab, tuna, walnuts and raisins, followed by a vegetable-beef-lentil stew. We also had bread, wine, water and dessert which seem to be standard fare. 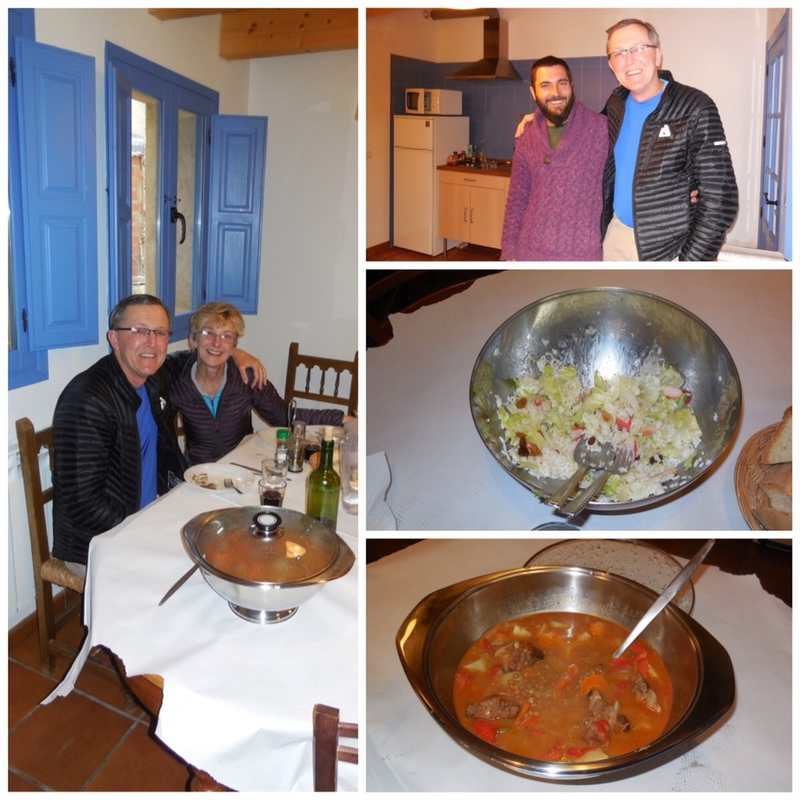 All was prepared by our host Pablo (who runs the Albergue with his wife Beleny). We learned that we are eating and sleeping in a converted stable. Pablo and his wife bought the building (an old barn) three years ago when his construction company business in Madrid dwindled with the economy. He has been fixing the place up, doing much of the work himself between construction projects. While our companions from last night have all moved ahead, Reg and I have enjoyed our first dinner alone in over two weeks. Happy Birthday! The village bell tower provides a home for the birds. Judy,(left) and Verna (right) both grew up together in Texas. As we head for our next stop, we cross over one of the longest and best preserved medieval bridges in Spain dating from the 13th century. 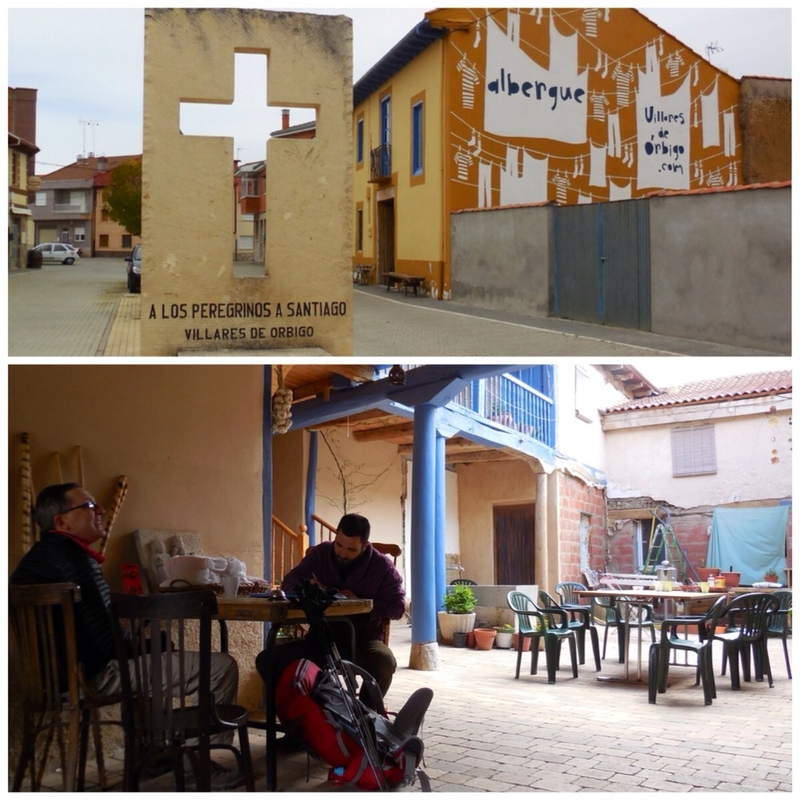 We spent Sunday night in the little village of Vilar de Mazarife where we enjoyed a delicious vegetarian meal with our fellow Pilgrims. We had briefly met Judy and Verna earlier that day along the trail and were pleased to find them sipping a glass of vino in the local bar that afternoon…so we joined them! 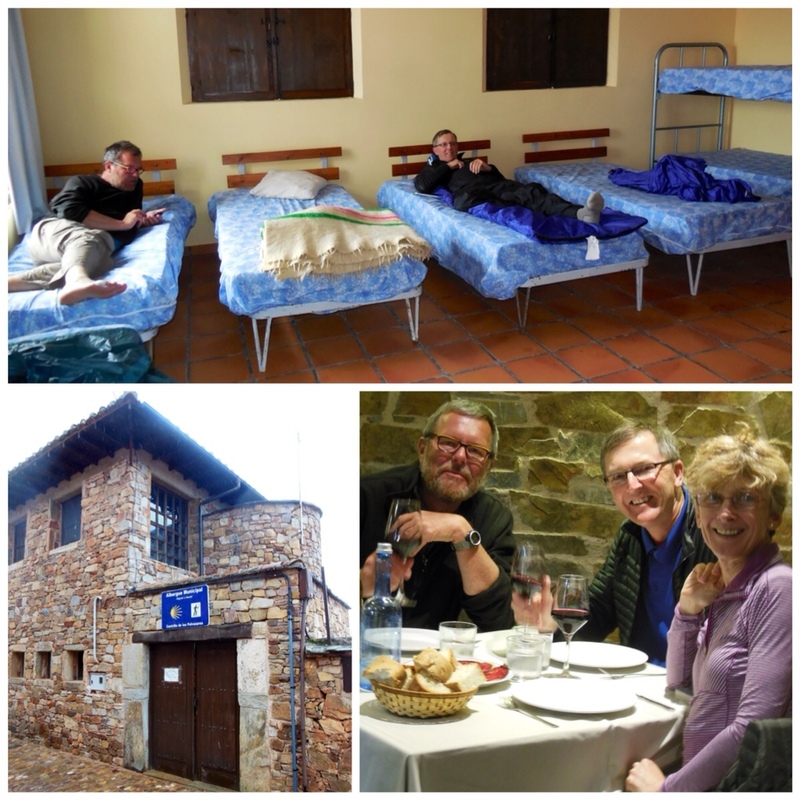 Friends for over 50 years, they were celebrating their 60th birthday year together on the Camino. 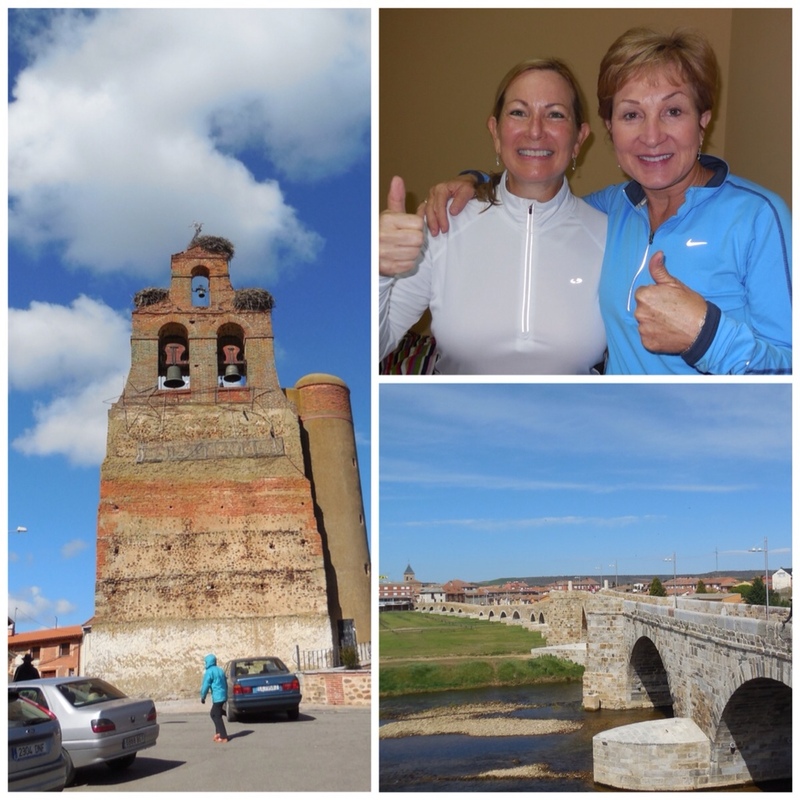 This morning, as we headed down the trail, Judy caught up with us and sang a special birthday song – in Spanish – for Reg…just one more example of how quickly friendships flourish along the Camino. 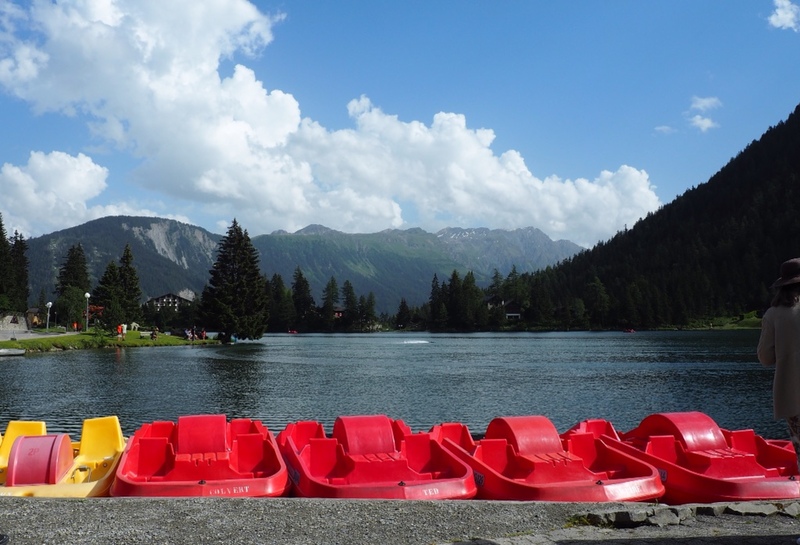 We enjoyed our stay in this picturesque village. 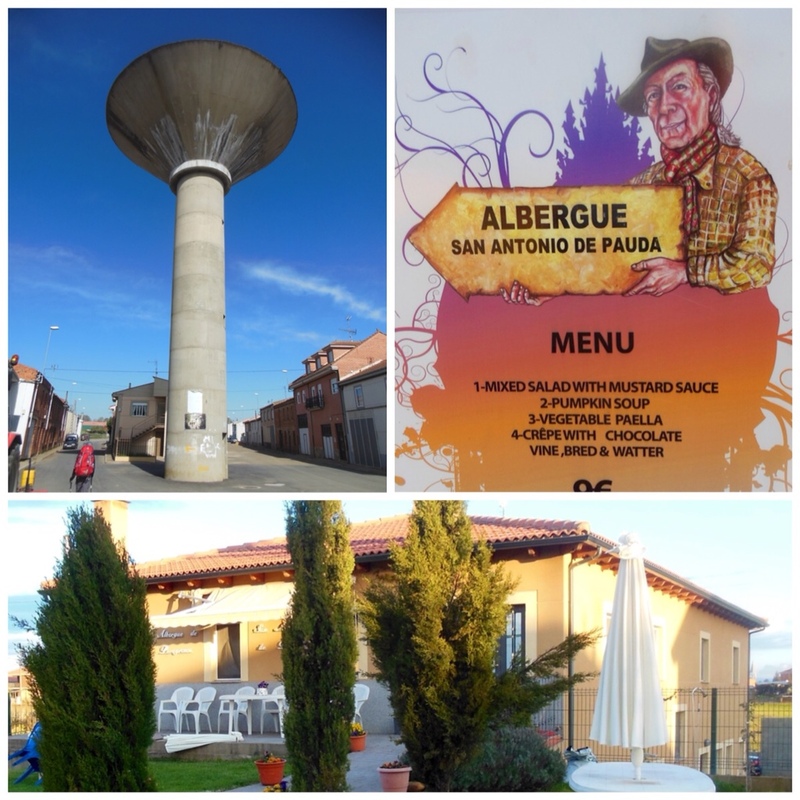 We had the best evening meal of the trip at Liberanos Domaine, the Albergue in the village of Rabe de las Calzadas. 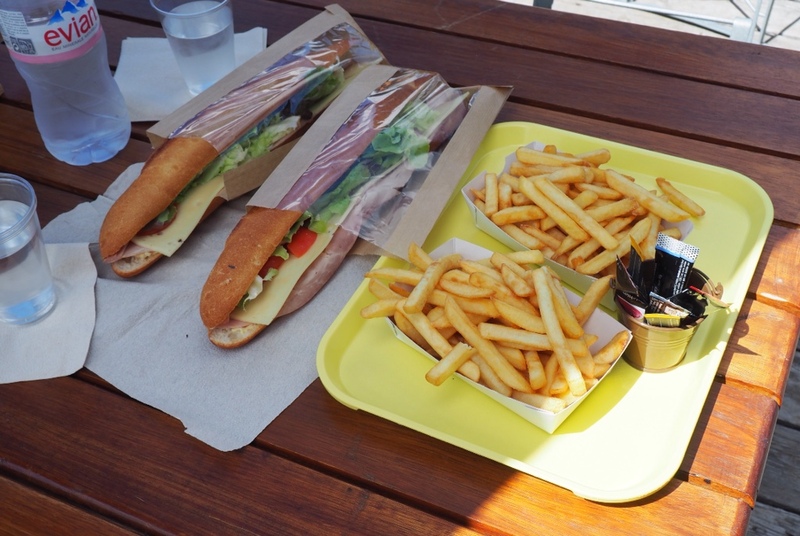 For just €18.50 each (about $24.00) we had a bed, dinner, breakfast and great company. A quick trip around the village revealed tulips and a stork nest perched atop the town steeple. 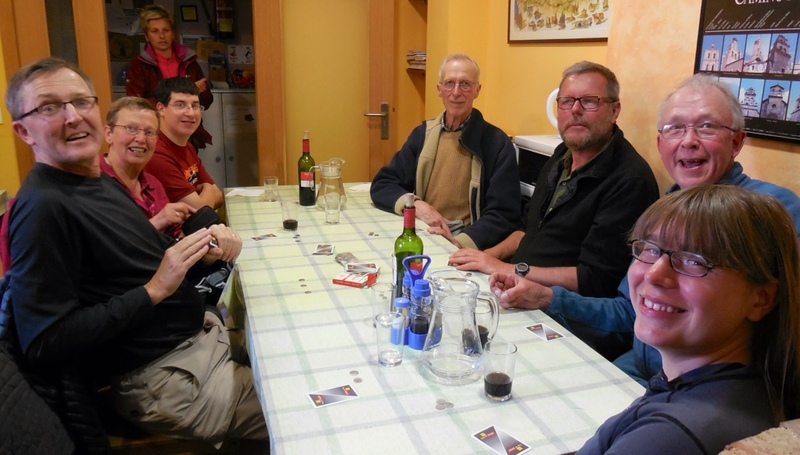 We enjoyed an extended Happy Hour with Gert, a German from outside Hamburg. Struggling with blisters of his own, he had a suggestion for me as he filled my glass with vino tinto (red wine). “Sue, I get you drunk…the foot will hurt no more!” Buen Camino! 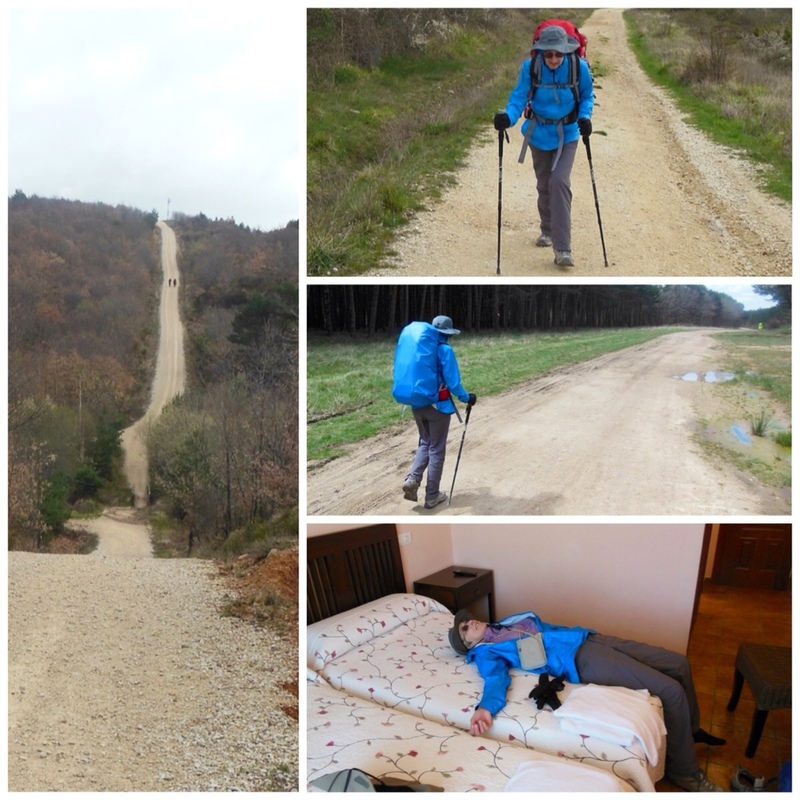 The ninth day of our Camino tested the limits. 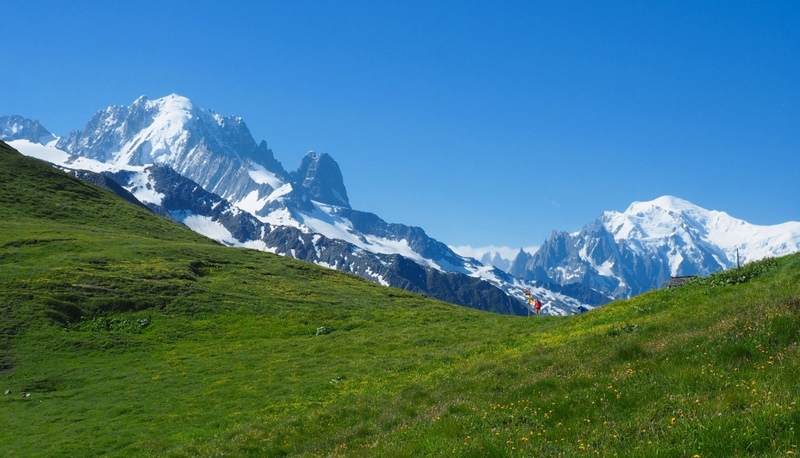 On our ninth day we awoke to light rain, temperatures just above freezing and mountains to climb. It would turn out to be quite a test. 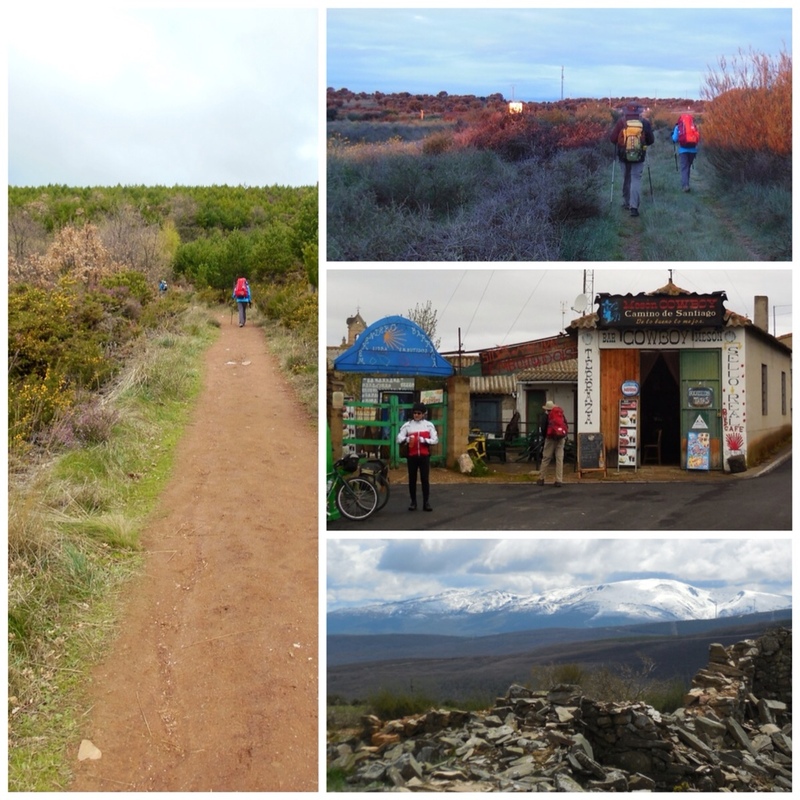 Our 15-mile trek from Belorado to St. Juan de Ortega on Friday had two halves. Although the weather was poor, we were in beautiful countryside and found welcoming bars for coffee in the morning and lunch just before noon. It was all downhill (actually uphill) from there. Nearly two thousand feet of elevation gain to about 4,000 feet with occasional showers, biting cold wind and a seemingly endless trail brought us to St. Juan de Ortega. 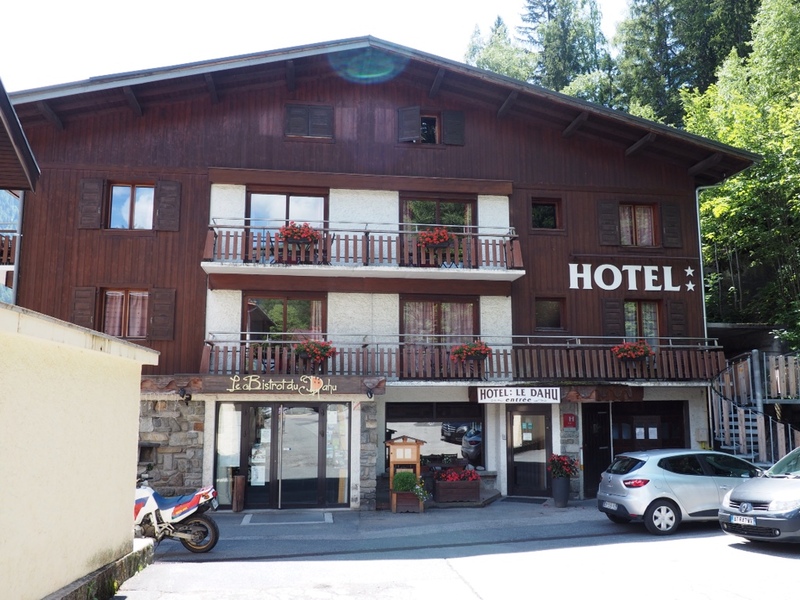 The guidebook said the albergue was basic and drafty, so we opted for the 10-room hotel across the street in the village of 30 inhabitants. It felt isolated to say the least. Over drinks and dinner in a small bar filled with character and characters, we heard stories about the albergue's cold showers and frigid conditions.